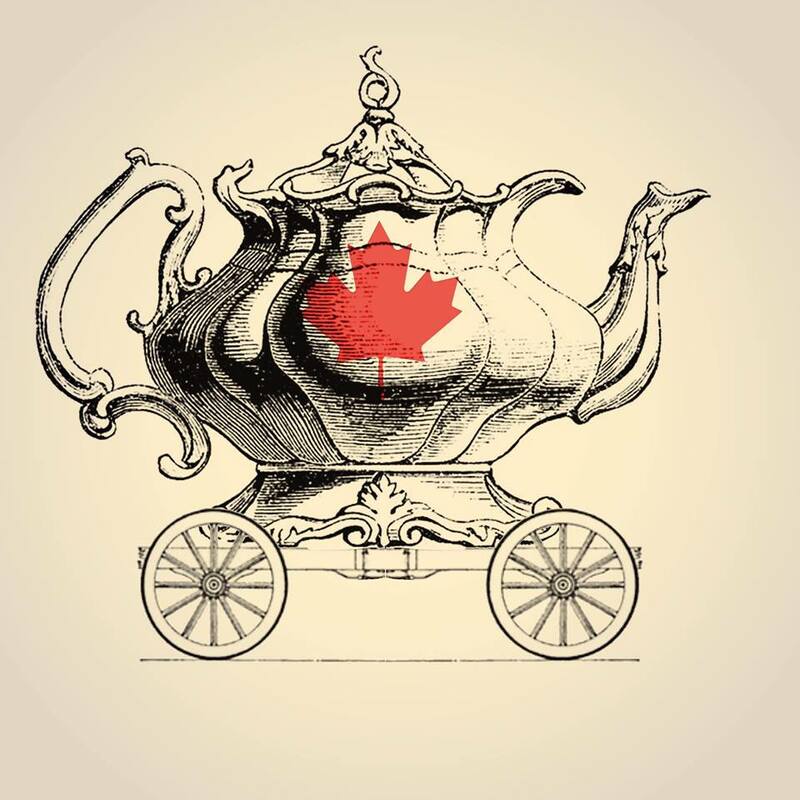 It gives me great pleasure to introduce to you the ‘First Lady’ of Splendid Teapot Racing: USA – Lois Wallace. 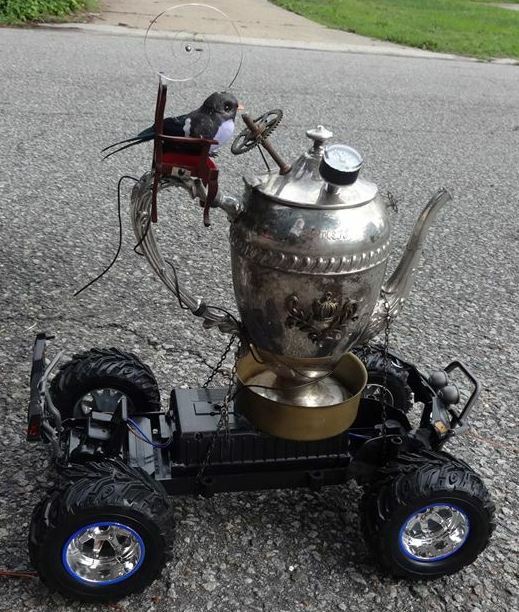 It also gives me great pleasure to state that her rig ‘Little Bird’ is the first recorded teapot racing rig in the USA. 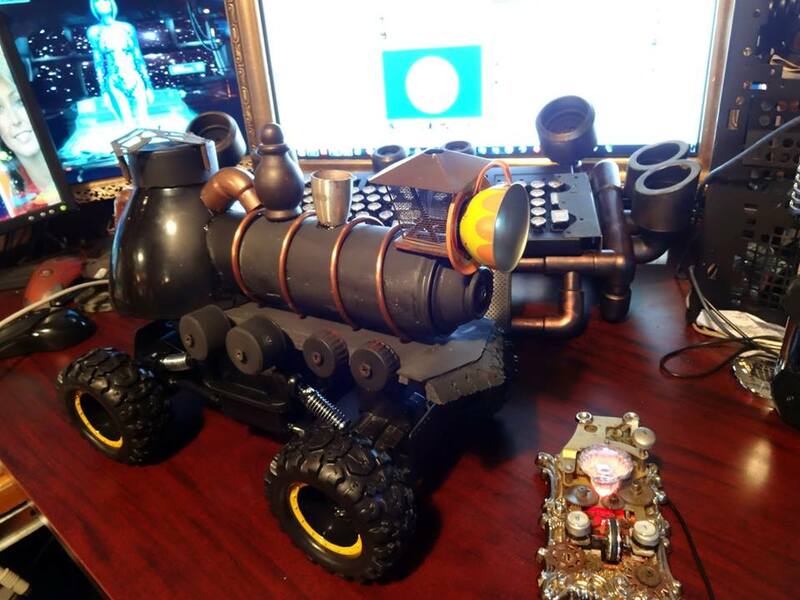 Little Bird was made in response to Lois viewing a video on Dave Lee’s page, after he came back from the Oamaru Steampunk Festival NZ in June 2015. In our interview today, a giggling Lois confided to me that “she had never laughed so much in her life and couldn’t stop laughing”, and she knew that she wanted to have a go, so she built Little Bird. Even in our interview Lois’s great sense of humour shone through – so I can see how this appeals to her – a bit like the Monty Python Ministry of Silly Walks. Her rig has lovely details, a steering wheel, a stick shift ( gear lever in NZ ) and even a tiny gauge. Little Bird – we might have to call Big Bird, unfortunately can’t get around the nasty Ramp of Doom, a bit heavy for the unit, so is undergoing a ‘chop’. I am really looking forward to seeing Little Bird Mark 2. 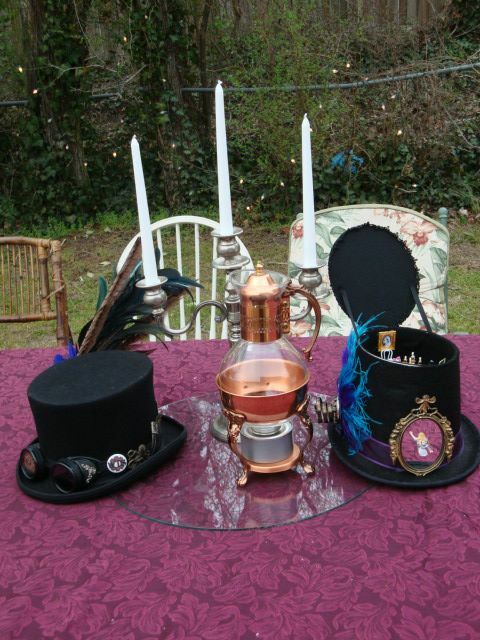 Lois loves the tea party theme and thinks it’s a great fit with steampunk. 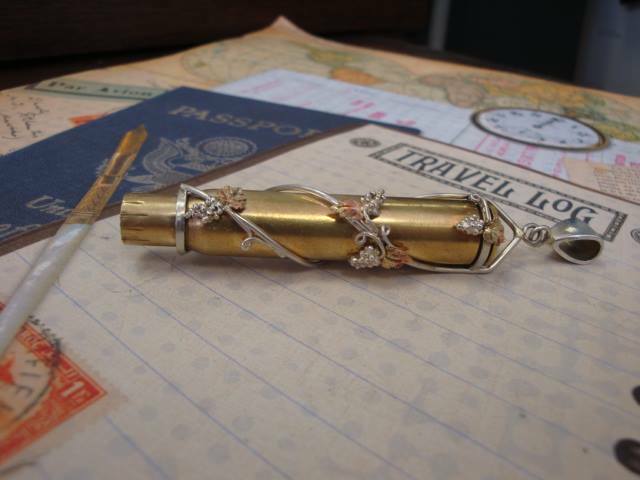 Lois was attracted to steampunk because, “there are not really any rules,” – it is a personal interpretation of a theme. Lois met Daniel Lee Hawk at an art exhibition that he was in and they have struck up a great friendship. Lois has been very involved in the organisation of the Virginia Chapter, but was unfortunately overseas – in France ( so we will forgive her) for the very first USA event hosted in August by the Virginia group. 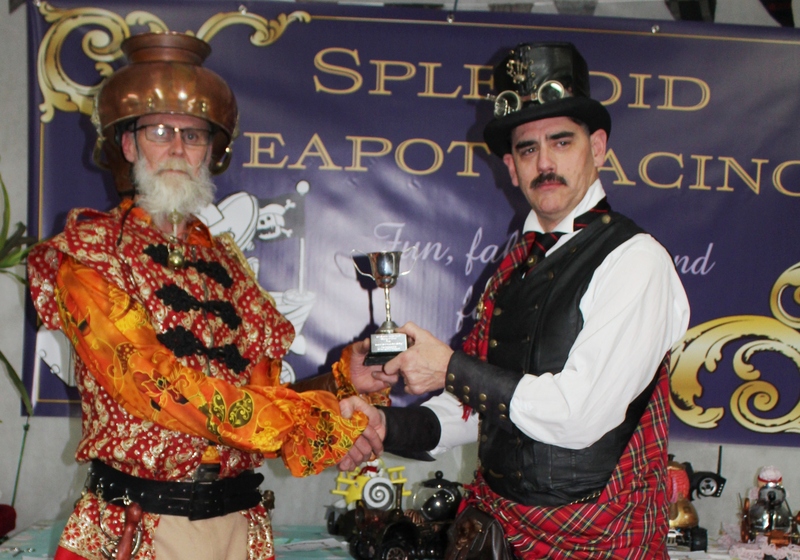 Lois has been successfully working behind the scenes to get Splendid Teapot Racing to the Steampunk Worlds Fair in May 2016 – so look out for this event. 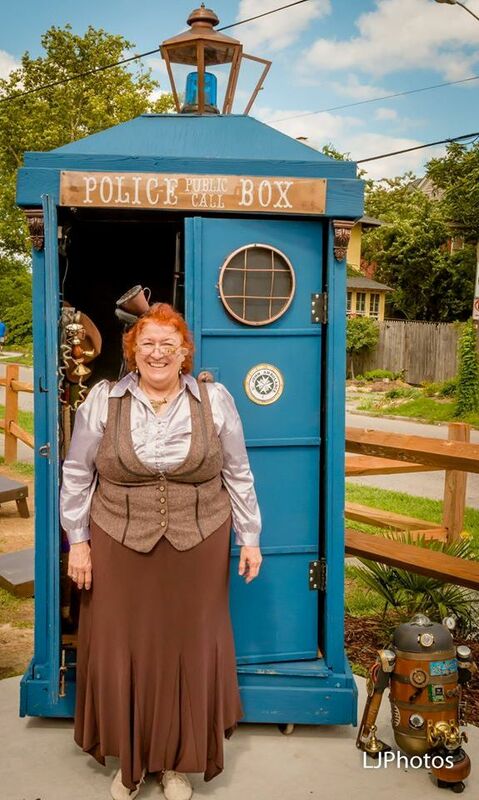 Thanks Lois for your mahi (work) and matangareka (enthusiasm) in establishing Splendid Teapot Racing in the USA. 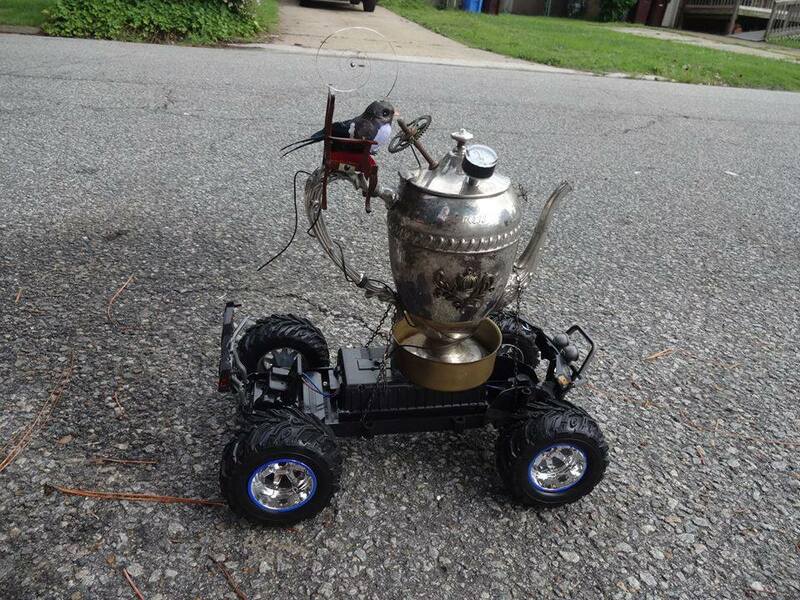 I have to say that I am really impressed with what is happening in USA with Splendid Teapot Racing. 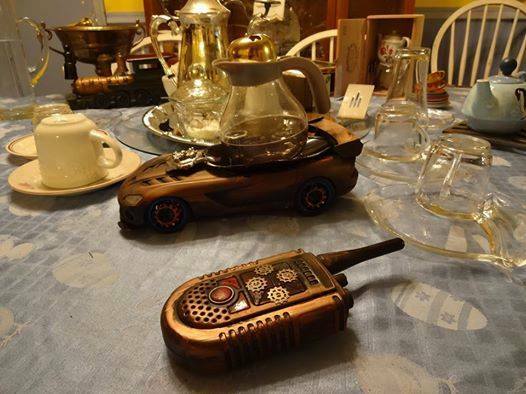 The Splendid Teapot Racing USA – Virginia Chapter hosted the first race last weekend. 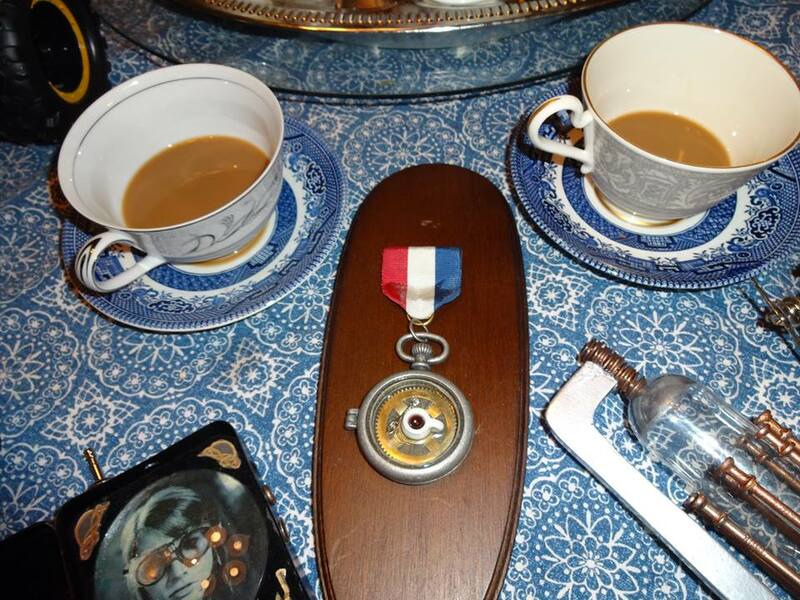 And I also found this excellent blog from Over the Crescent Moon about the building of a rig called the Earl Grey. 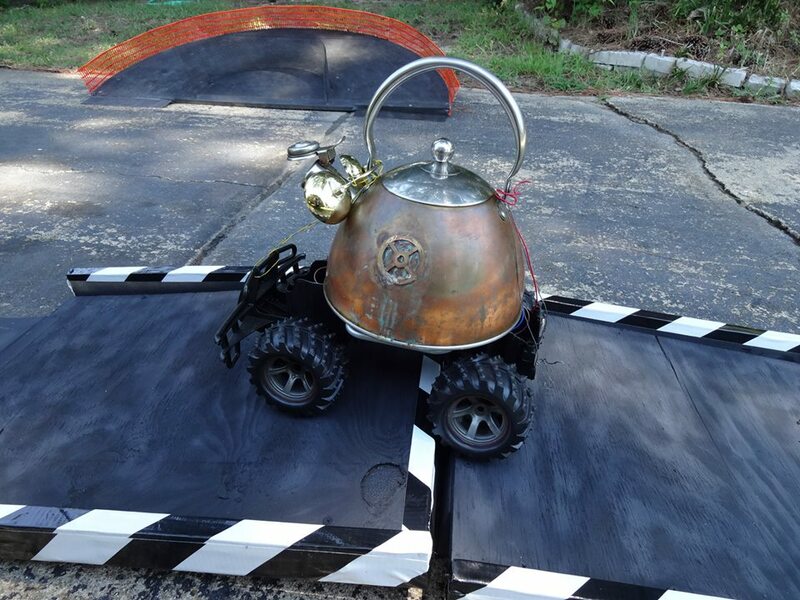 And this is what teapot racing means – inclusion and fun. Thanks Blaze and Mum for a job well done! 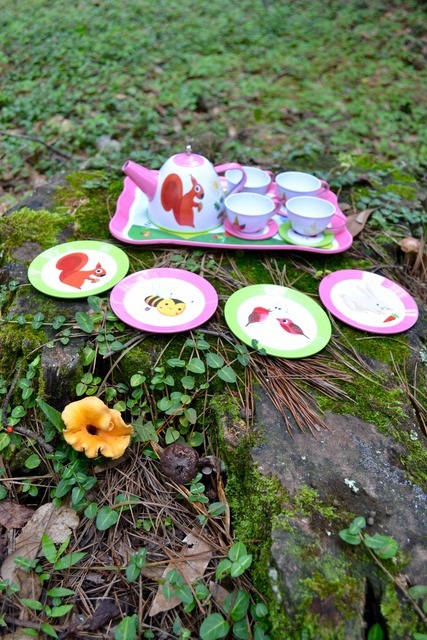 what it started life as …. 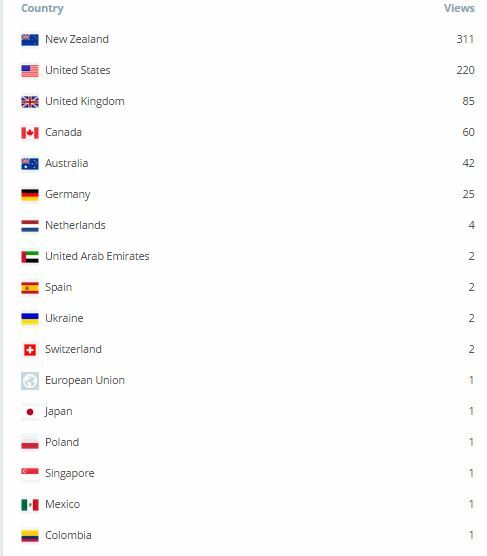 I really enjoyed this blog and I hope it races really well, it just goes to show that you can make something very simply. You can read about it here. And here we are on TV!!!! Thankyou 4.30 we love you!